Thousands of Palestinians reached Khan al-Ahmar Monday to save the Bedouin village which houses a mere population of 180 people of the Jahalin tribe, from being demolished by Israeli authorities. Many spent the night in a school courtyard or kept vigil as the Israeli-imposed midnight deadline for evacuation passed, and as reports suggested that the demolition has been put on hold. According to the Israeli Civil Administration, the demolition will not take place Monday since Tuesday is the Jewish holiday of Simchat Torah. 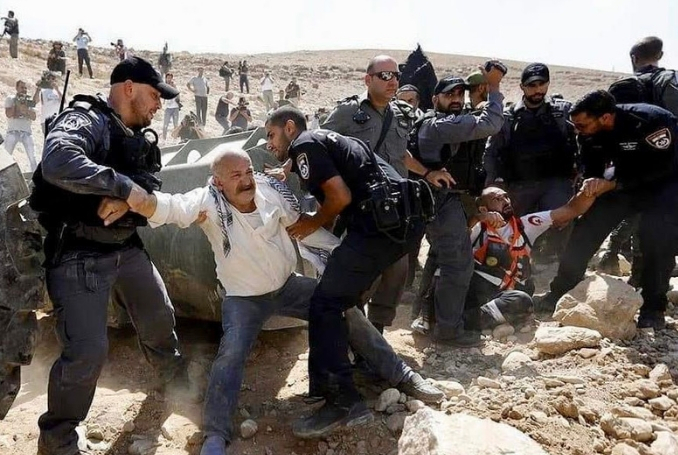 Last week, Israel Civil Administration ordered the inhabitants of Khan al-Ahmar either to evacuate their village voluntarily or face demolition and forced displacement by the occupying state. 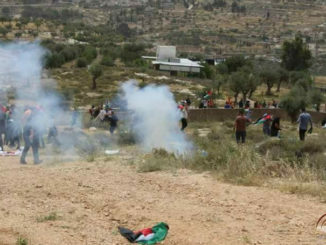 This move by Israel is considered to have the agenda of cutting East Jerusalem from the West Bank and expanding Israel’s illegal settlements, a move which saw condemnation from the international community, as well as the Palestinian leadership with President of Palestine Mahmoud Abbas, condemned the action during his speech at the 73rd UNGA session. Palestinian officials and activists say the mobilization is to stop Israeli forces from demolishing the village after the Monday deadline passes. 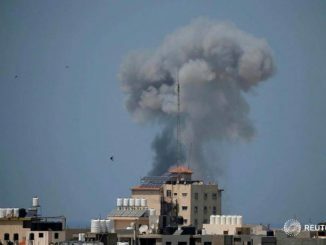 Palestinians will be joined by foreign diplomats, mostly from European Union member states who have been called to witness the event at the village. On Friday, Israeli forces declared Khan al-Ahmar a closed military zone preventing Palestinians, international activists, and journalists from exiting or entering the village. 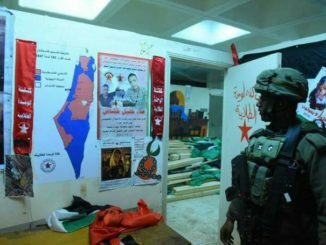 The Palestinian Authority has made the survival of the village a top priority and will hold its weekly meeting in the village on Monday. Earlier this month, the Palestinians had filed a petition to the International Criminal Court against Israel’s order to demolish the village. Israeli authorities maintain that the Bedouin village is illegal since they do not have permits to build houses in the area which the Palestinians argue is impossible — Israel rarely gives permits to Palestinians to build houses. The residents of Khan al-Ahmar have been in this state of precarity since 2009 as they have been continuously fighting demolition orders. She also maintained that Palestinians will stay in the village as long as it takes to stop the Israeli aggression on the village. There will be a general strike in the West Bank, East Jerusalem, and Gaza on Monday which will also highlight the discriminatory National Law passed by Israel that declares only Jews have the right to self-determination in what is modern-day Israel, but that many Palestinians view as their historic land.